As two birthdays and New Year's Eve converged last night, my family celebrated with an evening of food and games around the table. Mounds of succulent spaghetti bolognese, chilled champagne, several rounds of Boggle, induction into the mysteries of Texas Hold 'Em (for some reason I find it really hard to wrap my mind around the rules of poker), ensuing hilarity (have you ever laughed so hard you couldn't breathe? ), and a German-style birthday cake saw us out of 2009. If this was a harbinger of what the new year will be like, then 2010 will be a very, very good year. The first red sauce I learned how to make was based on the recipe from my grandmother, with a combination of garlic, onions, tomato paste, and crushed tomatoes. Over the years, I've tried delicious variations, like cutting out the tomato paste, adding carrots and sometimes celery, or adding in a little wine. Then I came across a recipe that used milk. As the descendant of southern Italians, I found the idea of dairy in a red sauce to be quite foreign. Sure, I generously sprinkle the parmigiano on at the table, but to actually cook the sauce along with the cheese and with milk?! A bit skeptical, I wanted to try it out, half hoping it'd be a disaster and proving the non-dairy way of my heritage was superior. But when I tasted that sauce, savored the depth of its flavor and the silkiness that made it cling to the spaghetti strands and linger on my tastebuds, I knew that bolognese was a keeper. Smelling the fragrance of garlic, pancetta, and tomato and twirling and eating large forkfuls of spaghetti coated with meaty bolognese sauce was so totally down to earth yet exquisitely satisfying. I've made this several times now, and every time it's a winner. Simmer it long and let the flavors meld, don't be shy about using milk, and above all, sit down and eat this meal with some loved ones. 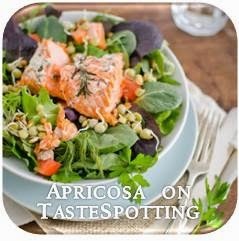 This is a dish that draws people together, feeding body and soul. Saute pancetta in a large pot over medium heat, until fat is rendered and pancetta is crisp. Drain pancetta on paper towels and wipe out pot. Return pancetta to pot and add diced onions, continuing to cook until onions are soft. Add the garlic and stir until fragrant, then add ground beef and sprinkle with salt. Cook ground beef, breaking up lumps, until meat is no longer pink. Add tomato paste, grated cheese, and milk, and stir to combine. Cover sauce and simmer on low heat 2 hours. Skim off fat, and then, for the best sauce, continue to simmer 2-4 more hours. Check seasoning and add salt and freshly ground black pepper to taste. Bring a large pot of salted water to a boil, then cook spaghetti until al dente. Scoop spaghetti from boiling water and add to bolognese sauce, adding cooking water from the pasta pot as needed to loosen the sauce. Stir to coat spaghetti strands with sauce. 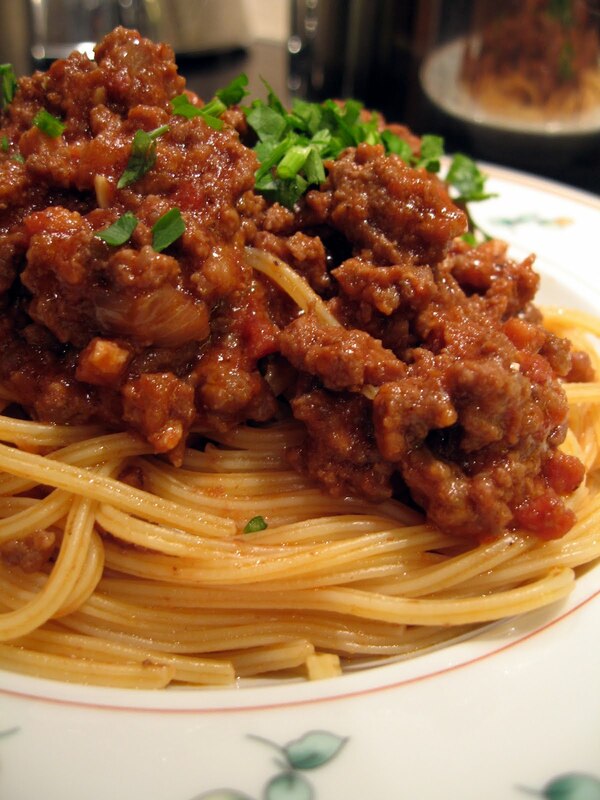 To serve, mound spaghetti into wide bowls, scoop extra meat over, and sprinkle with chopped fresh parsley. Pass extra parmigiano and black pepper at the table. Curious about the German-style birthday cake we had? 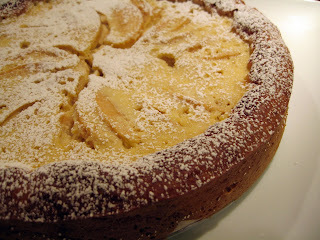 With my German baking heritage, I was interested in a recipe a friend found for Apfel Käsekuchen (Apple Cheese Cake). The crust is made from a yeast dough and the creamy topping, made from quark, is more tangy than an American cheesecake. With our familiarity and preference for German desserts, my family found it pretty tasty. If you do try making this, though, I must warn you that the flour measurements posted in this recipe are not exact, and I had to keep adding more flour to make it work.